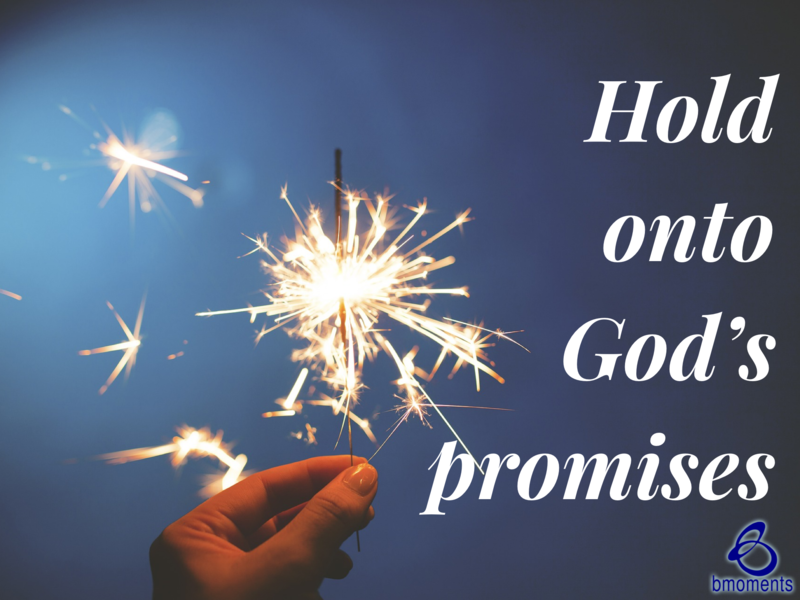 Today is New Year’s Eve and I’m thinking about keeping God’s promises in our hearts. Sometimes we might become discouraged by what we see in the moment and talk ourselves out of believing God’s promises to us. In fact, this is exactly what the Israelites did when they were on their way to the Promised Land. God instructed Moses to send twelve tribal leaders to explore Canaan, otherwise known as the Promised Land, so that they could come back and give Moses a full report on what the land looked like. The twelve leaders came back with a glowing report. They said the land was magnificent and that it truly was overflowing with milk and honey. However, the leaders were also terribly frightened of the residents of the land. They thought the city was advanced and well-fortified with giant, strong people who could overtake them at any time. They saw conquering Canaan as somewhat impossible. Because of their fear, the leaders began to doubt God’s ability to fulfill His promise, rather than holding it in their hearts. They doubted Him and wanted to return to Egypt and what they knew. The situation is almost unthinkable because they had just witnessed God parting the Red Sea for them. They saw what He was capable of, but they still doubted Him. So today, keep God’s promises close to your heart.